Philippine Amusement and Gaming Corporation (PAGCOR), the gaming regulator in the Philippines had earlier announced plans to sell state owned casinos to private operators. Those plans have now been shelved by the state regulator for the time being. The revenue currently generated by state owned casinos to the government currently outweighs the income it will get from privatization. Since the gross gaming revenue (GGR) from casinos owned and operated by PAGCOR goes directly to the government, the decision to make them private has been delayed as the government stands to gain more by keeping things as they are. An official announcement was made in August 2016 that the PAGCOR would sell its 47 casinos, with the aim of narrowing the country’s budget deficit. The casinos are projected to earn PHP26 billion – PHP27 billion which is around $479 million to $497 million before the end of 2018. PAGCOR Chairman and CEO Andrea Domingo said that since the local gaming industry has registered solid growth year on year, the agency won’t give up its casino licenses just yet. The state gaming regulator will resume its dual role as casino owner-operator until a new decision is made regarding privatization. Finance Secretary Carlos Dominguez stated earlier this year that the government wanted to proceed with its plan to sell state owned casinos within the year but Domingo played things down and said that there have been no talks yet with prospective buyers. PAGCOR has had a hard time during the last couple of years as President Rodrigo Duterte has been tough on the casino industry prompting the state regulator to halt the issuance of new licenses. 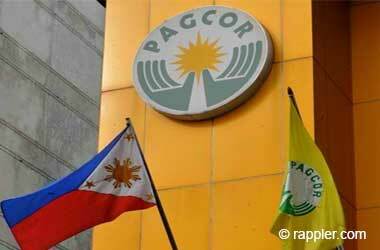 The Commission on Audit (COA) announced in July that PAGCOR owed the government PHP 21 Billion ($387 million) in unpaid remittances over a period of seven years and also flagged PAGCOR’s excessive spending for its employees. Despite the challenges currently being faced by the agency, Domingo said they are holding on to their market because they have a strong niche in the gaming sector and believe that this will continue to be profitable for them going forward.